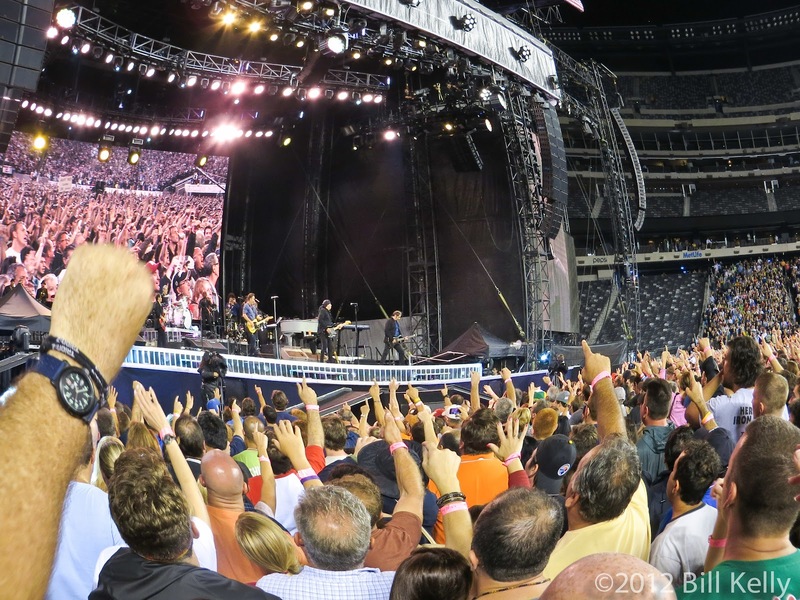 When most of us think of this milestone, images of quiet family dinners, maybe a round of golf and, if lucky enough, pop a little blue pill and try your luck with the Mrs. 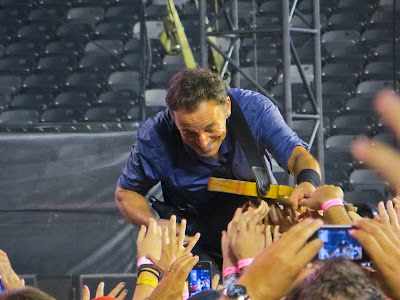 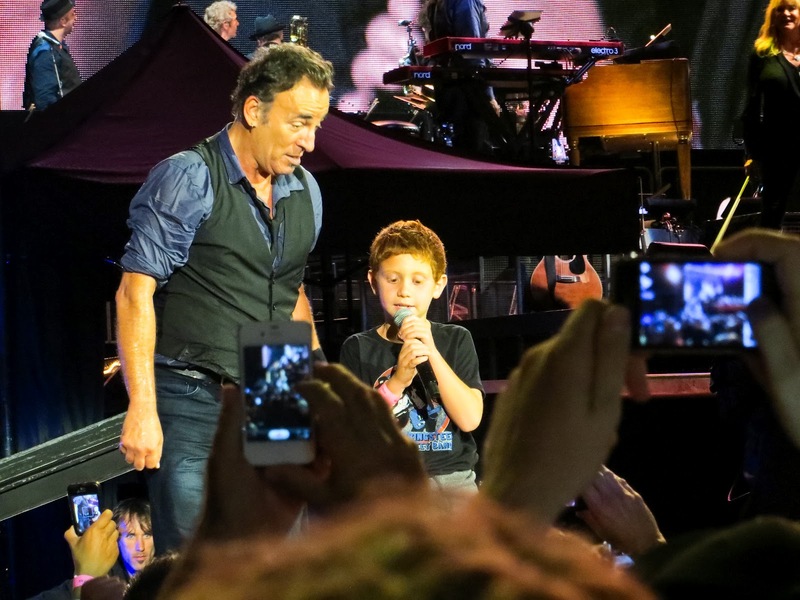 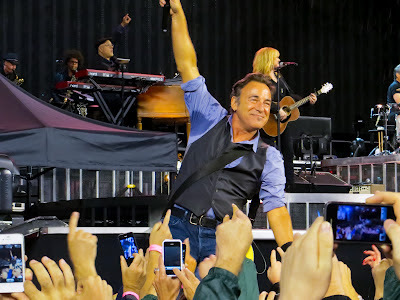 But not Bruce Springsteen - Playing before a sold out crowd that had waited through a 2+ hour rain delay, Bruce took the stage at home state New Jersey’s MetLife stadium and powered through a 33 song set, hitting the last note at 2:00am. 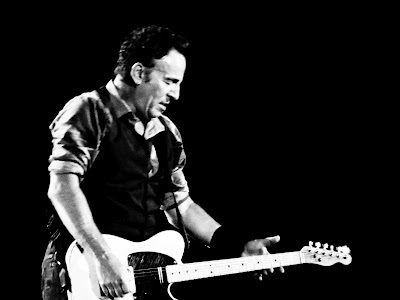 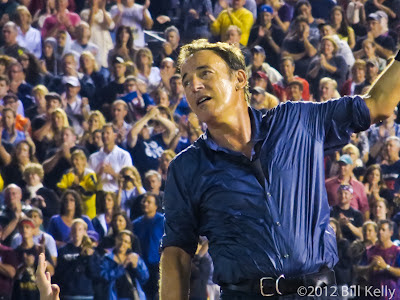 A Springsteen show is more than a concert, it’s a tribal journey into the heart of rock and roll. Backed by the mighty East Street Band, newly augmented by an expanded horn section and troupe of backup singers, Bruce played songs from across the bands history, from a rare Meet Me Across The River to a crowd rousing Death To My Hometown from his most recent release, “Wrecking Ball”. 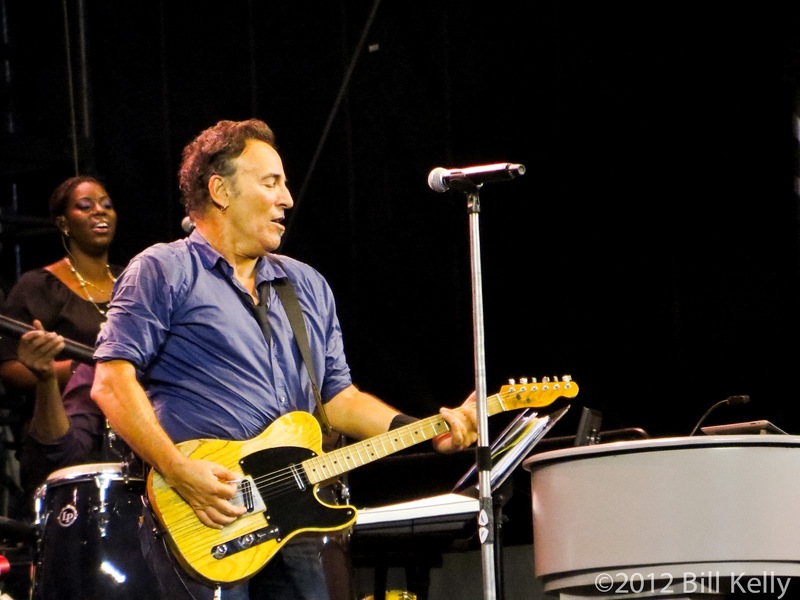 Adding to the festivities, Gary U.S. Bonds joined the band covering Jole Blan and his Springsteen-authored hit This Little Girl Is Mine. 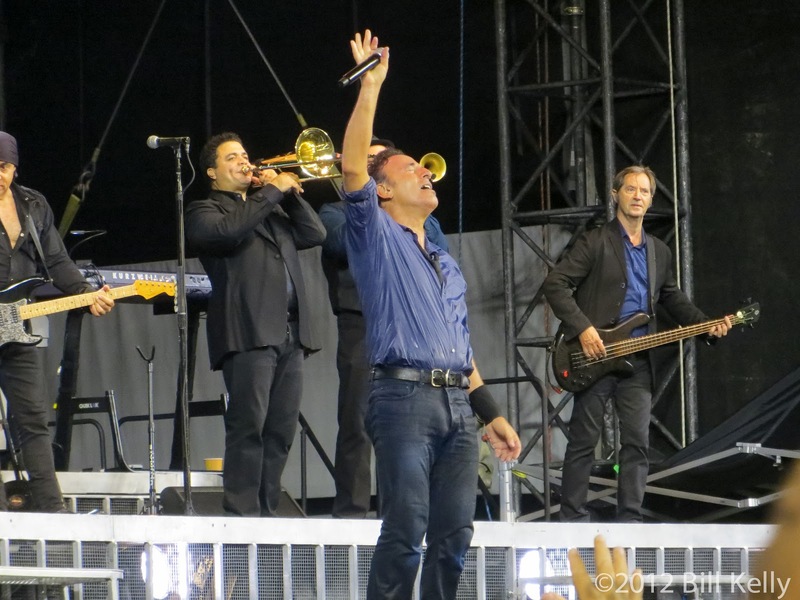 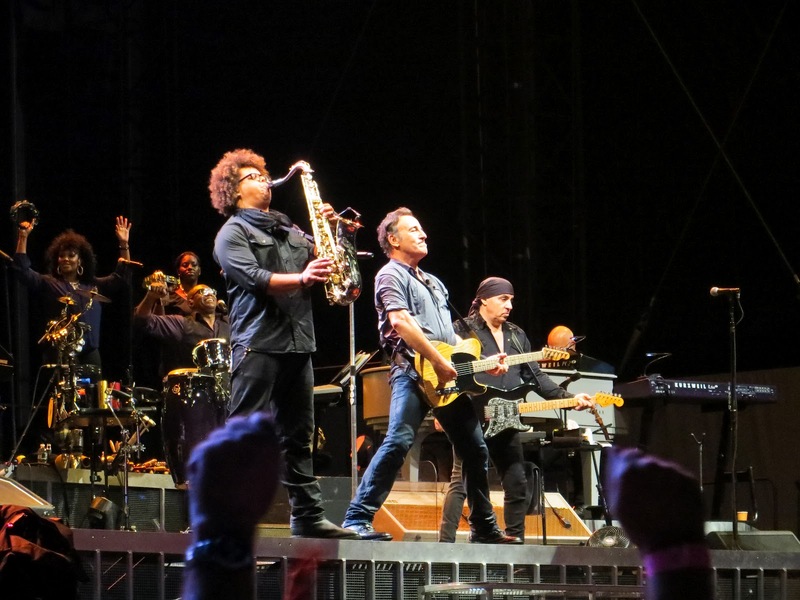 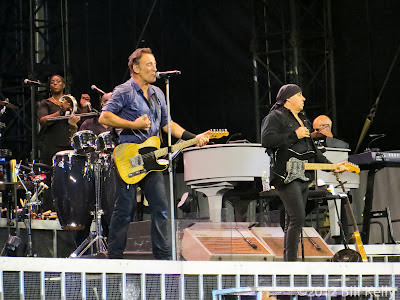 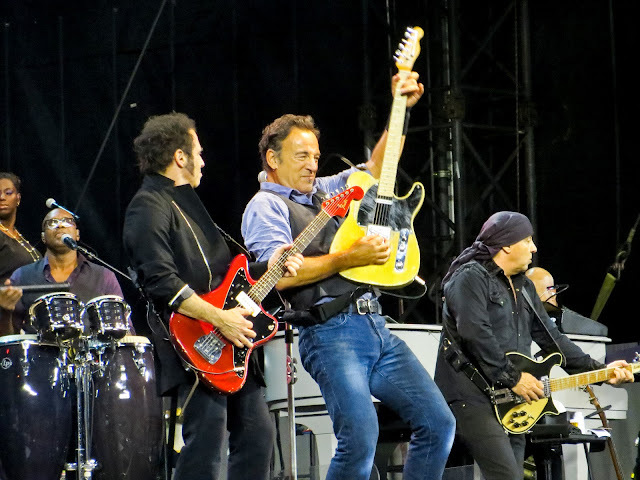 Remarking early in the set that we should always recognize the ghosts that follow us in life, Bruce paid homage to departed sideman and number one friend Clarence Clemons, halting Tenth Avenue Freeze-out as 50,000 fans applauded a video featuring the late saxophonist. 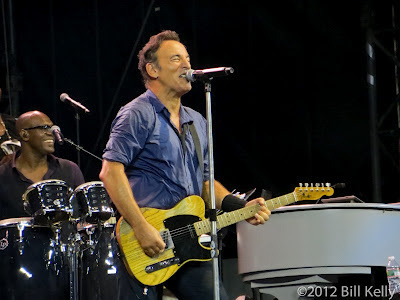 33 songs - Every one of them played as if this were a new band that had to prove it all night. Three and a half hours of foot stompin’, jaw droppin, eye poppin’ rock and roll played by the hard rockin’, booty shakin’, earth quakin’, Viagra takin’, history makin’ East Street Band - It just doesn’t get any better.